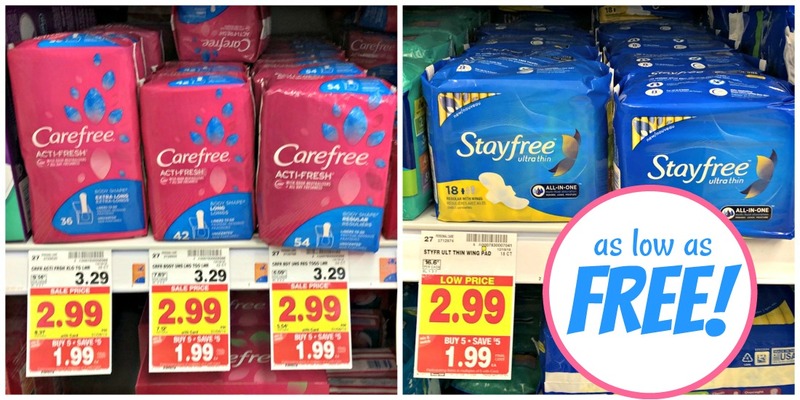 You can get Stayfree Pads & Carefree Liners better than FREE after cash back, coupon, and mega savings. Grab the products you use and save BIG! Better than FREE after coupon, cash back, and mega savings. Add this deal to your shopping list over on the Kroger Buy 5, Save $5 Mega Sale Inclusion List Valid 12/26 – 1/8.